Four seasons - without the price tag. Black Diamond designed the Glissade to be a high-performance glove that won't break the multi-season mountaineer's wallet. The Pertex® Shield shell is waterproof, breathable, and windproof, and a Durable Water Repellent treatment helps shed rain and snow. A fixed fleece liner is re-insulated with 100g of high-density Thinsulate® insulation on the back of the hand, and, should the glove completely wet out, a waterproof-breathable BDry™ insert protects the hands from exposure to moisture. The Black Diamond Glissade is warm, waterproof, and durable - made for every alpine adventure. 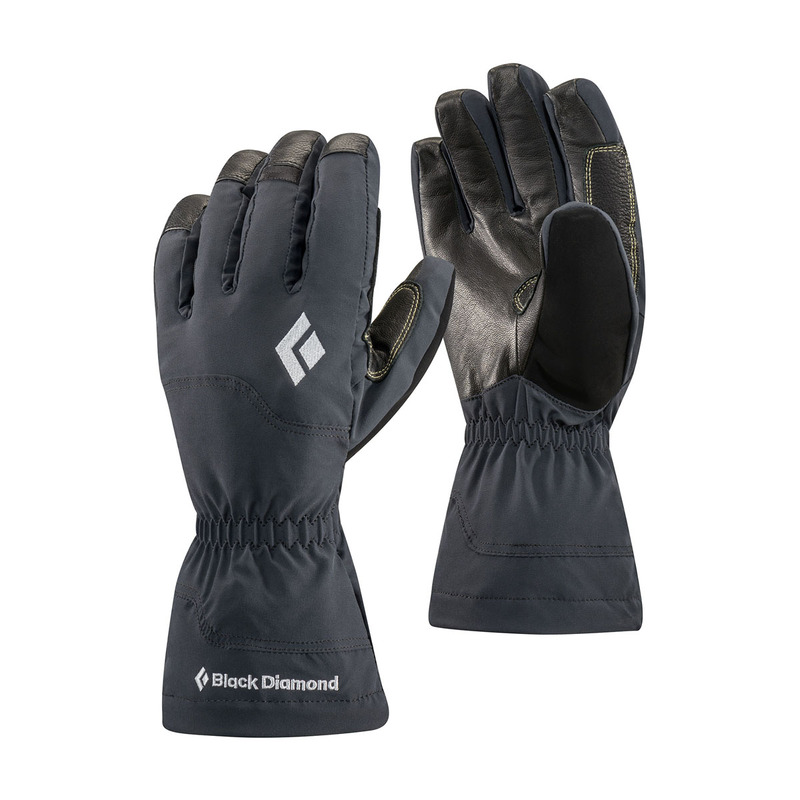 Black Diamond's BDry™ Liner is a waterproof, plastic, glove-shaped insert placed between the shell and insulation of their gloves. If the shell of the fabric wets out, the BDry™ Liner prevents water and the cold from dampening the glove's insulation and reaching your hands. This means no DWR-finish is required that would wear off over time. Pertex® Shield is a durably waterproof and breathable material designed to be lightweight and packable. Features a Durable Water Repellent treatment to shed light rain and snow and windproof construction.